We had a joint celebration this year, so all of our children ages 3-12 gathered together in our chapel. 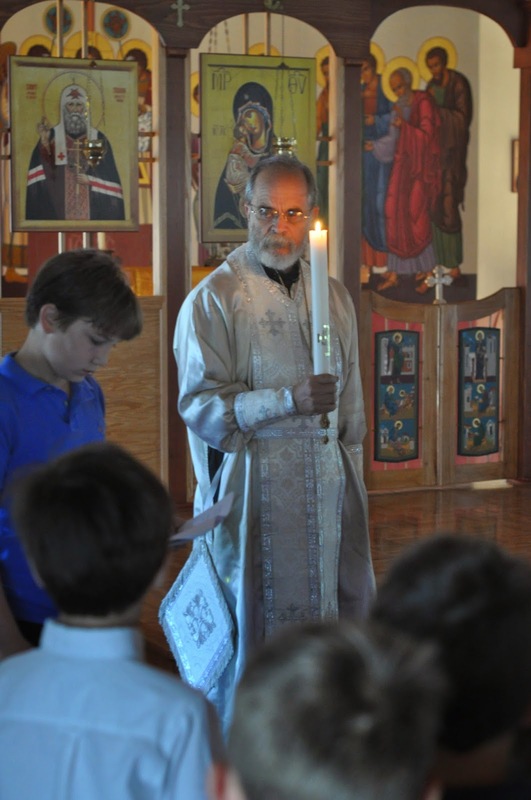 Father came and led our celebration, and the children did all of the readings. It was a beautiful and special time together! Our chanters came in and chanted as the children entered. 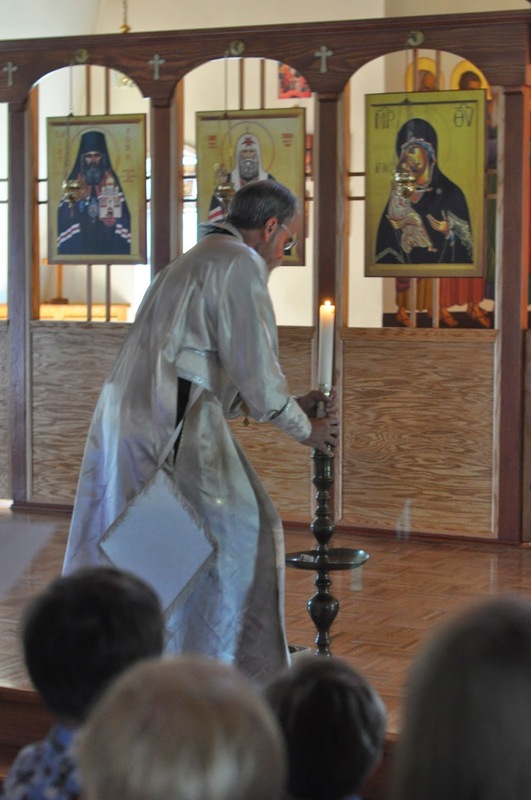 Father lighting the Paschal candle. 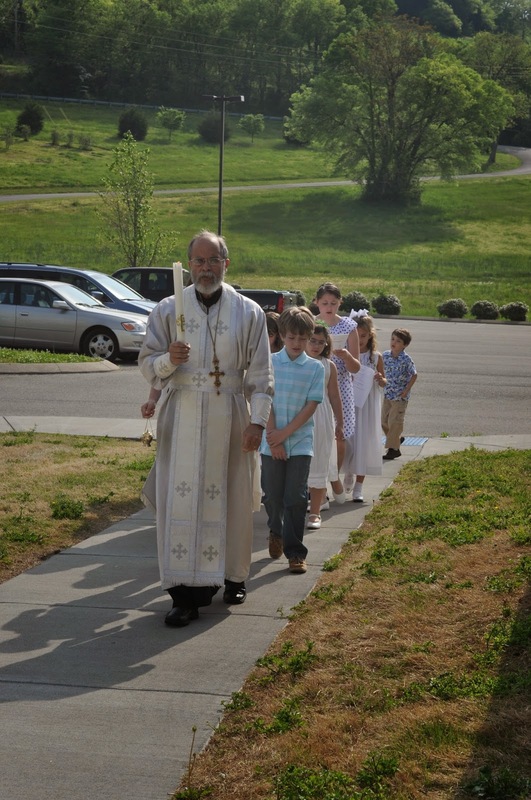 Processing around the church together. Listening to the reading of the Gospel. After our celebration we each returned to our atrium and the children had a short time to work. 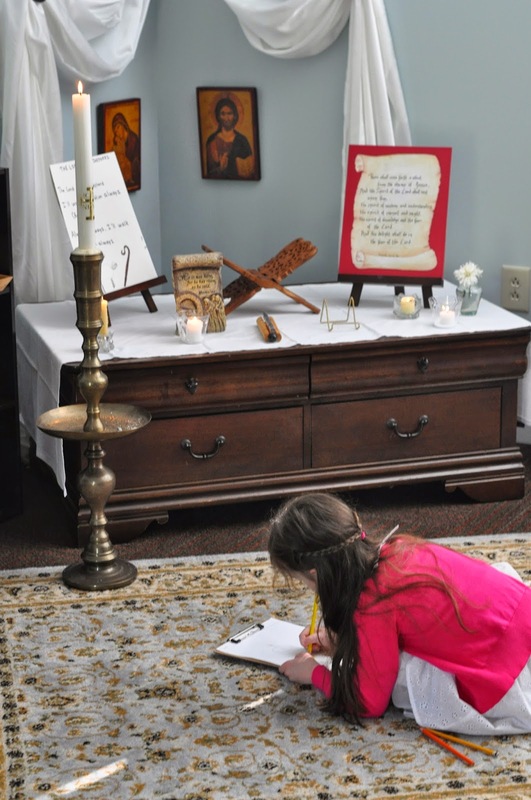 One of our girls settled herself in front of the prayer table and spent the rest of her morning drawing the Paschal candle. Such a blessed and special occasion, God be praised! Thank you for posting these photos! Just lovely Anna...you are so blessed to have such a warm and peaceful space dedicated for your atrium!